BOSTON -- A passenger on board a plane heading to Boston has been restrained after trying to force one of the plane doors open, an airline spokesperson said. The incident happened on British Airways flight 213. The plane was traveling from London to Logan International Airport. 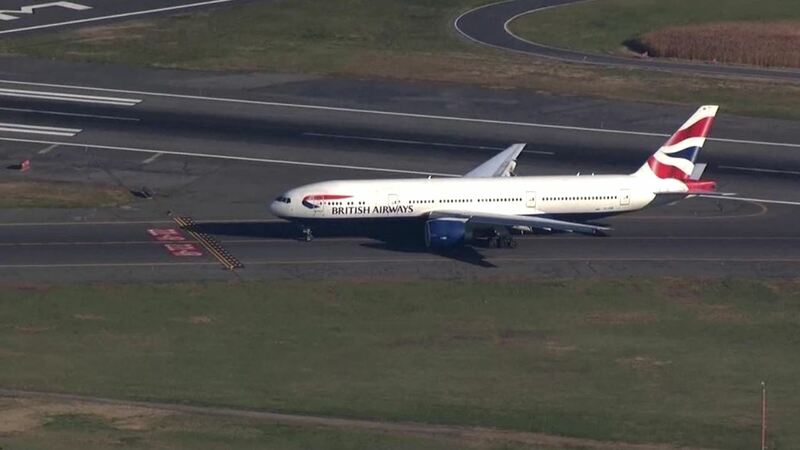 The spokesperson for British Airways said, "a disturbed and unruly passenger tried to force one of the doors on the plane, but NOT the cockpit door. The flight lands at 1:30 est in Boston and will be met by state police." According to the airline, it was an exit door. This triggered a "Level 2" alert, which means there was violence on the plane. The passenger has since been restrained and the cockpit is secure. British Airways Flight 213 reportedly on the ground. Troopers on jet bridge to take custody of restrained passenger, investigate incident. "Our customers and crew deserve to have a safe and enjoyable flight and we do not tolerate abusive behavior. Our crew have requested that police meet the flight in Boston due to an unruly customer on board."